You’re in luck, Double Fine fans: the San Francisco-based developer/publisher announced release details for two of their forthcoming titles today. First, the Double Fine-published Everything from Irish Mountain developer David O’Reilly will come to PS4 next week on March 21. Dubbed a “consciousness simulator,” the game lets you play as … well, everything from a bird to a rock to a star. 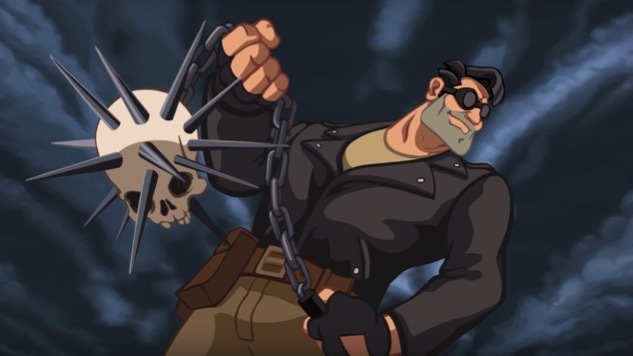 Following that, the company’s remaster of 1995 Lucasarts classic Full Throttle hits PS4, PC and Playstation Vita next month on April 18. The hand-drawn point-and-click adventure game features redrawn assets, a resolution upgrade and improved audio. Both games will go for $14.99 on release and are currently available for preorder. For a look at both games, you can check out today’s brand new Everything trailer below and December’s Full Throttle Remastered trailer beneath that.